Emd Serono issued the following announcement on April 8. - Within a week of FDA approval, MAVENCLAD has formulary coverage with one of the leading pharmacy benefit managers in the U.S.
EMD Serono, Inc. today announced that Express Scripts is covering on its formulary the oral multiple sclerosis (MS) therapy, MAVENCLAD® (cladribine) tablets, which was approved by the U.S. Food and Drug Administration (FDA) on March 29, 2019. Express Scripts has over 80 million members nationally, including thousands of people living with MS.
"The Express Scripts Multiple Sclerosis Care Value ProgramSM provides comprehensive care for people with multiple sclerosis, and we are proud to add MAVENCLAD to the treatment options members can access," said Steve Miller, M.D., Executive Vice President and Chief Clinical Officer, Cigna. "Combining the expertise of our specialist pharmacists, our clinical care model at our Accredo specialty pharmacy and alignment with clients, we make sure patients and payers get the most value from innovative new therapies." In addition to being listed immediately on the Express Scripts formulary, additional patient access opportunities exist for members within their custom health plan or employer benefit offerings. "Ensuring rapid access to MAVENCLAD for patients is a high priority for us," said Rehan Verjee, President of EMD Serono and Global Head of the Innovative Medicine Franchises. "With its maximum of 20 days of oral treatment over two years, MAVENCLAD offers a new way to treat MS, and we are pleased that an industry leader like Express Scripts has recognized the importance of covering MAVENCLAD for its members." The FDA approved MAVENCLAD for the treatment of adults with relapsing-remitting disease (RRMS) and active secondary progressive disease (SPMS). MAVENCLAD is the first and only FDA-approved treatment for RRMS and active SPMS that provides two years of proven efficacy with a maximum of 20 days of oral treatment, during a two-year period. Because of its safety profile, use of MAVENCLAD is generally recommended for patients who have had an inadequate response to, or are unable to tolerate, an alternate drug indicated for the treatment of MS, and MAVENCLAD is not recommended for use in patients with clinically isolated syndrome (CIS). The MAVENCLAD label includes a boxed warning that states it may increase the risk of malignancy, and risk of teratogenicity. MS is a progressive, autoimmune disease affecting one million people in the U.S., and more than 2.3 million people worldwide. It is the most common non-traumatic, disabling neurological disease in young adults. Eighty-five percent of people living with MS are initially diagnosed with RRMS, characterized by attacks of new or increasing neurological symptoms. Most people with RRMS will eventually transition to a secondary progressive course in which there is a progressive worsening of neurologic function over time. SPMS can be further characterized at different points as either active (with relapses and/or evidence of new magnetic resonance imaging [MRI] activity) or not active. EMD Serono is committed to helping support patients prescribed MAVENCLAD. The company's comprehensive patient support program, MS LifeLines, provides one-on-one assistance to U.S. patients prescribed an EMD Serono MS therapy. This includes personalized patient support like assistance with navigating insurance questions and additional resources that may be able to assist patients who are uninsured or underinsured. For more information on MAVENCLAD, and prescribing information including the boxed WARNINGS, visit www.MAVENCLAD.com. All Merck KGaA, Darmstadt, Germany, press releases are distributed by e-mail at the same time they become available on the EMD Group Website. In case you are a resident of the USA or Canada please go to www.emdgroup.com/subscribe to register again for your online subscription of this service as our newly introduced geo-targeting requires new links in the email. You may later change your selection or discontinue this service. Multiple sclerosis (MS) is a chronic, inflammatory condition of the central nervous system and is the most common, non-traumatic, disabling neurological disease in young adults. It is estimated that more than 2.3 million people have MS worldwide. While symptoms can vary, the most common symptoms of MS include blurred vision, numbness or tingling in the limbs and problems with strength and coordination. The relapsing forms of MS are the most common. Eighty-five percent of people living with MS are initially diagnosed with relapsing-remitting MS (RRMS), characterized by attacks of new or increasing neurological symptoms. Most people with RRMS will eventually transition to a secondary progressive course (SPMS) in which there is a progressive worsening of neurologic function over time. SPMS can be further characterized at different points as either active (with relapses and/or evidence of new magnetic resonance imaging [MRI] activity) or not active. 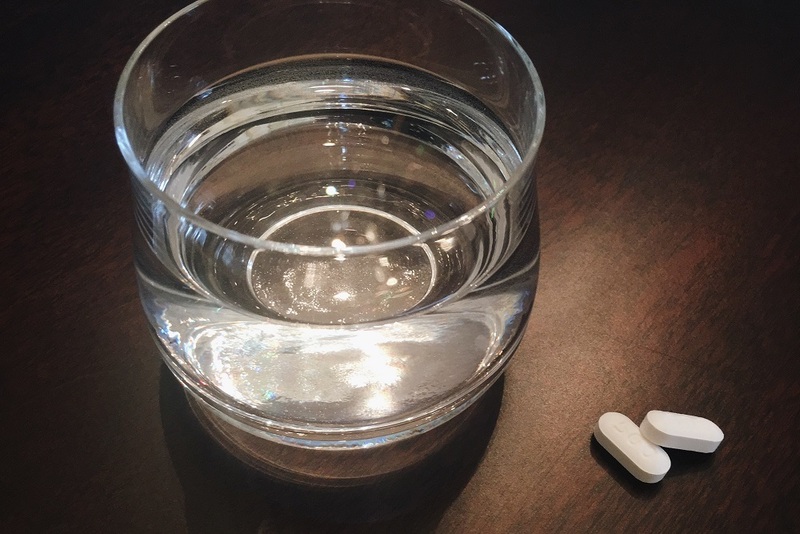 MAVENCLAD, approved by the U.S. Food and Drug Administration (FDA) on March 29, 2019, is the first and only short-course oral therapy for the treatment of adults with relapsing-remitting disease (RRMS) and active secondary progressive disease (SPMS). Because of its safety profile, use of MAVENCLAD is generally recommended for patients who have had an inadequate response to, or are unable to tolerate, an alternate drug indicated for the treatment of multiple sclerosis (MS), and MAVENCLAD is not recommended for use in patients with clinically isolated syndrome (CIS). Patients should follow healthcare provider instructions including cancer screening, contraception and blood tests. The approved dose of MAVENCLAD is 3.5 mg per kg body weight over two years, administered as one treatment course of 1.75 mg per kg per year, each consisting of two treatment weeks. The mechanism by which cladribine exerts its therapeutic effects in patients with multiple sclerosis has not been fully elucidated but is thought to involve cytotoxic effects on B and T lymphocytes through impairment of DNA synthesis, resulting in depletion of lymphocytes. MAVENCLAD causes a dose-dependent reduction in lymphocyte counts followed by recovery. Because cladribine is cytotoxic, special handling and disposal instructions should be followed. MAVENCLAD has been approved in over 50 countries, including the European Union (EU), Canada, Australia and Switzerland, for various relapsing MS indications. Visit www.MAVENCLAD.com for more information. Treatment with MAVENCLAD may increase the risk of malignancy. MAVENCLAD is contraindicated in patients with current malignancy; evaluate the benefits and risks of the use of MAVENCLAD on an individual patient basis for patients with prior or increased risk of malignancy. MAVENCLAD is contraindicated for use in pregnant women and in women and men of reproductive potential who do not plan to use effective contraception because of the potential for fetal harm. pregnancy, and women and men of reproductive potential who do not plan to use effective contraception during MAVENCLAD dosing and for 6 m after the last dose in each treatment course. active chronic infections (e.g., hepatitis or tuberculosis). history of hypersensitivity to cladribine. breastfeeding while taking MAVENCLAD and for 10 days after the last dose. DOSING CONSIDERATIONS: After the completion of 2 treatment courses, do not administer additional MAVENCLAD during the next 2 years. The risk of malignancy with reinitiating MAVENCLAD more than 2 years after completion of 2 treatment courses has not been studied. Lymphopenia: In clinical studies, 87% of MAVENCLAD-treated patients experienced lymphopenia. Concomitant use of MAVENCLAD with hematotoxic drugs may increase the risk of adverse reactions because of the additive hematological effects. Monitor lymphocyte counts before and during treatment, periodically thereafter, and when clinically indicated. Infections: Infections occurred in 49% of MAVENCLAD-treated patients compared to 44% of patients treated with placebo in clinical studies. The most frequent serious infections included herpes zoster and pyelonephritis. Single fatal cases of tuberculosis and fulminant hepatitis B were reported in the clinical program. Administer live-attenuated or live vaccines at least 4 to 6 weeks prior to starting MAVENCLAD. Screen patients for latent infections; consider delaying treatment until infection is fully controlled. Vaccinate patients antibody-negative to varicella zoster virus prior to treatment. Monitor for infections. Hematologic Toxicity: Mild to moderate decreases in neutrophil counts, hemoglobin levels, and platelet counts were observed. Severe decreases in neutrophil counts were observed in 3.6% of MAVENCLAD-treated patients, compared to 2.8% of placebo patients. Obtain complete blood count (CBC) with differential including lymphocyte count before and during treatment, periodically thereafter, and when clinically indicated. Risk of Graft-versus-Host Disease With Blood Transfusions: Irradiation of cellular blood components is recommended. Liver Injury: Obtain liver function tests prior to treatment. Discontinue MAVENCLAD if significant injury is suspected. Hypersensitivity: In clinical studies, 11% of MAVENCLAD-treated patients had hypersensitivity reactions, compared to 7% of placebo patients. Serious hypersensitivity reactions occurred in 0.5% of MAVENCLAD-treated patients, compared to 0.1% of placebo patients. If a hypersensitivity reaction is suspected, discontinue treatment. Do not use MAVENCLAD in patients with a history of hypersensitivity to cladribine. Adverse Reactions: The most common adverse reactions with an incidence of >20% for MAVENCLAD are upper respiratory tract infection, headache, and lymphopenia. Drug Interactions/Concomitant Medication: Concomitant use of MAVENCLAD with immunosuppressive or myelosuppressive drugs and some immunomodulatory drugs (e.g., interferon beta) is not recommended and may increase the risk of adverse reactions. Avoid concomitant use of certain antiviral and antiretroviral drugs. Avoid concomitant use of BCRP or ENT/CNT inhibitors as they may alter bioavailability of MAVENCLAD. Please see the full Prescribing Information, including boxed WARNING for additional information. For more than 20 years, EMD Serono has been relentlessly focused on understanding the journey people living with MS face in order to create a meaningful, positive experience for them and the broader MS community. However, there is still much that is unknown about this complex and unpredictable disease. EMD Serono is digging deeper to advance the science. Want to get notified whenever we write about Emd Serono ? Next time we write about Emd Serono, we'll email you a link to the story. You may edit your settings or unsubscribe at any time. Thank you for signing up for American Pharmacy News Alerts! Please select the organization you wish to subscribe to. Copyright © 2019 American Pharmacy News. All Rights Reserved.